Commuters between Ashland and Medford who have been annoyed by construction and slow traffic passing through talent will be happy to hear that the end is near. 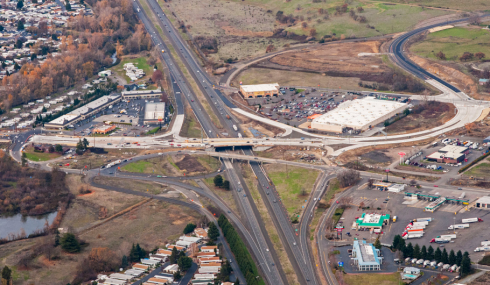 The construction on the Fern Valley Interchange, Highway I-5 exit 24 to Phoenix, is on track to be finished the summer of 2016, this according to the Oregon Department of Transportation. 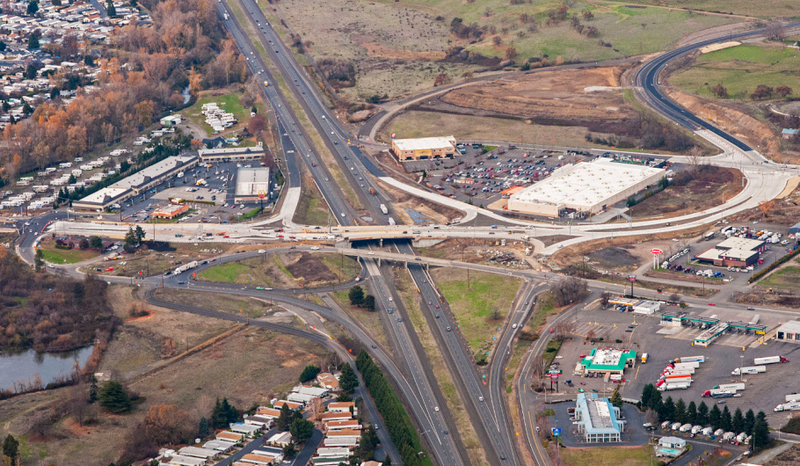 The new Bear Creek Bridge will open up commuters access to the shops and Holiday RV Park off of exit 24, where before hand the area could only be accessed via Oregon Highway 99. As of January, commuters now have partial access to the interchange exit. Temporary Northbound and Southbound off ramps have been opened, enabling commuters to exit the area more easily. Demolition of the old bridge is currently slated to happen within the next few months. After demolition is completed workers can begin finalizing the construction on the new South and Northbound off ramps. The final steps include finishing construction on the Bear Creek Bridge with final pavement and wrap up occurring in the summer this year. Work crews, which began spring of 2014, have been constructing a new interchange bridge in addition to the one already in existence. 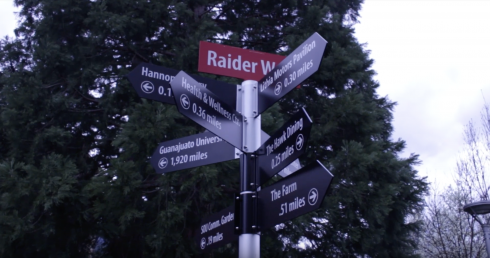 The project will also include new bike and pedestrian connections going over Interstate 5. Planers of the project have made sure to leave most roadways and buildings in the area untouched by construction, leaving behind a small footprint and not directly affecting local businesses. While commuters do have to slow down while driving past the construction area, official work on the project is done during non commuter hours, Friday through Monday 7pm to 5 am. As construction nears its end new areas have allowed commuters to drive by and access the nearby areas unimpeded. The project has cost tax payers $72 million but will hope to improve Oregon’s infrastructure and travel speed in the area in a positive way. Officials of the project also claim that the new interchange bridge will allow traffic to move more safely and efficiently in the area.